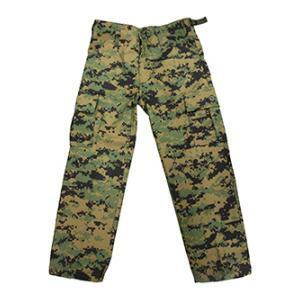 The BDU 6 pocket pants are made of a poly/cotton blend. It has six pockets, adjustable waist tabs and drawstrings on the bottom. Youth sizes run slightly smaller. You may want to get one size larger.